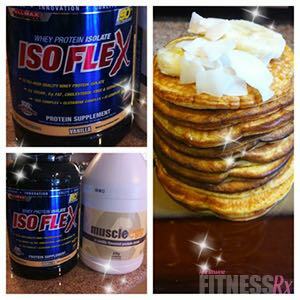 FitnessRX for Women > Nutrition > Healthy Eating Tips > Clean Treats that Taste Like Cheats! Clean Treats that Taste Like Cheats! I have been enjoying my downtime and lifting as heavy as possible while making my staple meals. I like to come up with my own recipes because I see a ton that are always the same— usually with a switch here and there. So I want to be different and have done just that! 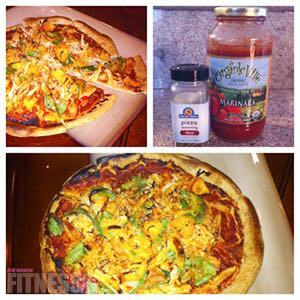 My recipes have satisfied my cravings for pizza, cookies, pancakes, cake and the list goes on! I will share two recipes with you. These recipes have been quite popular with almost everyone who has tried them. So I thought my FitnessRx readers would love to get in on the action! I was just introduced to Muscle Egg by my good friends Tommy Reynolds (southwest sales manager) and Paul Shepherd (owner). At first, I was a little taken aback by the fact I was drinking egg whites rather than cooking them first before consuming. 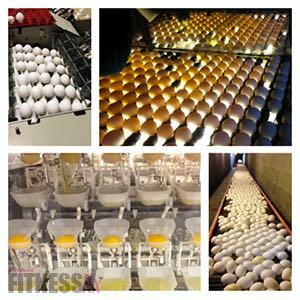 Well I’ll give you a little rundown on Muscle Egg egg whites: they are produced in a USDA-compliant facility with state-of-the-art equipment. This ensures the safest, highest quality liquid egg whites possible. Muscle Egg egg whites are salmonella, listeria and avidin free. Avidin, found in raw eggs, affects B vitamin biotin, stops it being absorbed, and causes problems with fatty acid synthesis and blood sugar levels. The pasteurizing process for the liquid egg whites removes the avidin, and any salmonella or listeria, but the egg whites remain liquid, ready for cooking or immediate consumption. Blend all ingredients together in a Magic Bullet and in a pancake skillet (I purchased mine from Costco and it makes seven 3×3 pancakes). Cook each side for 3 minutes or when it bubbles, and repeat. Garnish with coconut flakes and banana, and top with sugar-free syrup (I used Walden’s pancake syrup— zero calories, zero everything). Blend 3/4 cups egg whites with 2 tbsp oat flour in Magic Bullet. Then I cooked it like a pancake. When it was done, I added 1/4 cup no sugar added, gluten-free marinara and pizza basil for sauce, and the toppings— shredded chicken, sliced peppers and 1 tbsp (optional) shredded fat-free cheese, and spinach. I then put it in my toaster oven for 10 minutes and the edges folded up on their own. I hope you all love these as much as I do! Enjoy your pizza and pancakes and EVERY DAY if you want to! Sounds like heaven doesn’t it?! Would love to hear how they all come out! Enjoy! For more information on Muscle Egg please go to www.muscleegg.com.